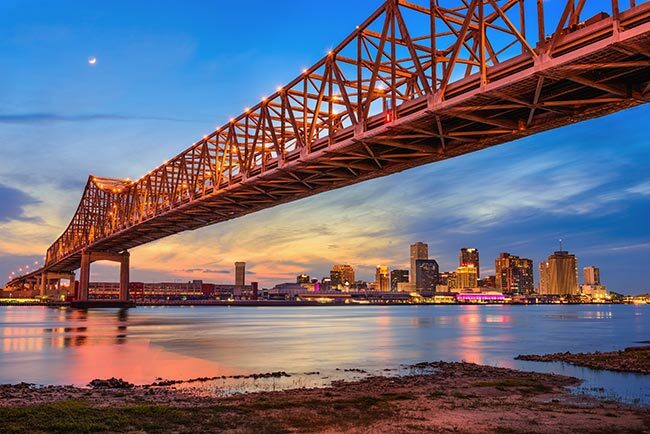 Linking the Mississippi River to the Gulf of Mexico, New Orleans, Louisiana is a town built on logistics. The city rose to prominence as the site of one of the world’s most important trading ports, allowing it to attract business, jobs, and wealth from the beginning. It has since expanded on this economic advantage by diversifying, mastering everything from manufacturing to tourism to energy production. ExpeditedFreight.com contributes to quality logistics in New Orleans by offering rapid, reliable ground deliveries into and out of the city. By providing express trucking, we keep the local economy booming for the long haul. 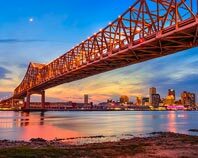 Despite its strategic location, shipping is no easy task for businesses in the New Orleans area. Take the city’s many advanced manufacturers, which create quality vehicles and equipment for the military and civilians alike. Many of these producers rely on highly delicate equipment; even the slightest damage to their tools and supplies could render their products totally unsafe and unusable. They thus need carriers to bring those supplies in carefully, which typically means finding safer routes and not driving at top speed. But many of these same manufactures also work on tight schedules, so shipping slowly is not an option. This leads to a delivery dilemma that few companies are equipped to deal with. As an experienced expedited freight company with experience across the country, ExpeditedFreight.com has dealt with dilemmas like these time and again. We always find a way to balance safety and speed, giving every client the high standard of service they depend on. Dedicated Shipping - As the centerpiece of our strategy, we reserve a van or truck for you rather than storing your items along with those of other clients. This means that we do not need to go to others’ destinations before yours, cutting down on delivery times. It also lets us accommodate specialized storage equipment without issue, raising our standards of safety. Team Driving - Except on short deliveries, we require two of our drivers to be in each vehicle. The drivers take turns between resting and working. This ensures that both are awake and alert when they are behind the wheel, leading to dramatic reductions in traffic danger. What’s more, because the drivers rest at different times, they don’t have to stop the truck overnight, letting them stay on the road until your order has been delivered. Strategic Planning - Instead of simply sending the truck on the shortest path to your destination, we find the most effective route based on a myriad of factors. By taking into account road quality, weather reports, and traffic along with physical distance, we minimize the risk of any delays or damages along the way. We also track our trucks while they are on the road and look out for obstacles ahead, further minimizing risks and expedited delivery times. To learn more or obtain a free quote, contact ExpeditedFreight.com at (504) 613-6666.